As the city became a bit too crowded with tourists, I did a highlights tour of the Louvre. The entrance hall felt like Grand Central Station but the art was amazing, as to be expected. But for me the best part was the Mesopotamian art. There were huge scultures of Arabian palaces that have been lost to time centuries ago, as well as mosaic murals in turqoise and gold. All housed under a newly built golden flowing roof that looks like the desert dunes. The amazing thing was that many of these ancient cultures have statues that to us today could pass as modern art. They were way ahead of their time as artists and artisans. If you are ever in Paris, be sure to take a trip to the Musée Quai Branly. The entire complex is an endless collection of pieces from cultures divided into four continents. Every artist that finds themselves stuck can learn from what is here. Very inspiring! Taking a turn away from classical art, I headed to the Musée d'Orsay. The building itself was a marvel. It used to be a train station but has since been converted into a multi-level gallery space. The best part has to be the clocks high above. Then it was fast forward to the future at the Centre Pompidou. 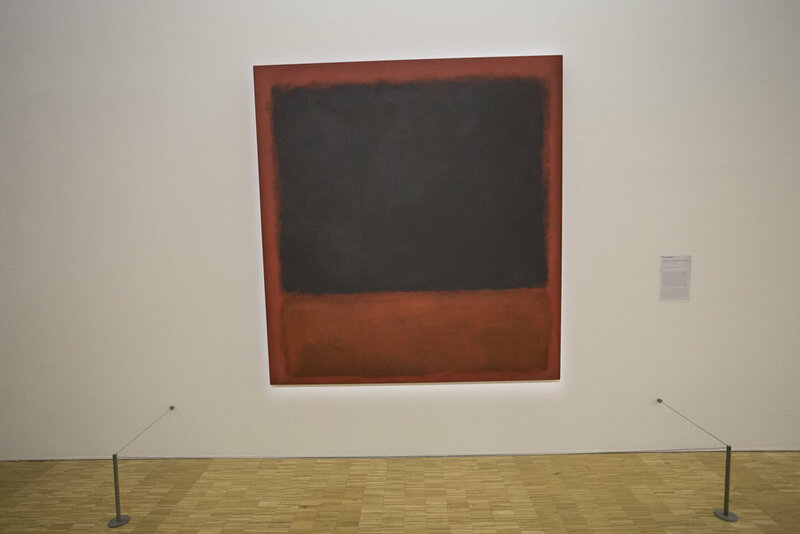 Among the art of the modern age were a collection of Bauhaus pieces and a large painting by Mark Rothko, reminding me of my colleagues back home at Rothko.